Ospreys returned to the Dyke Marsh area in mid-March. Ed's photographs captured some of the action shown here. 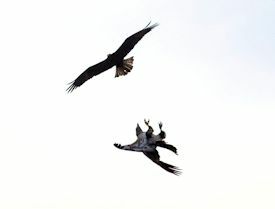 Eagle and osprey fight over fish. 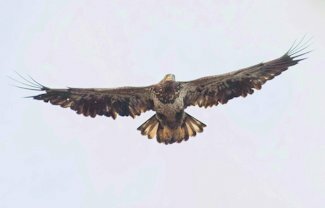 This juvenile bald eagle fought the ospreys for fish.